lamb Cuts, eggs, & Produce! Products can be picked up at the farm by appointment or during business hours at Alex's Middletown location in Louisville. Email madeline.ballyhoofarm@gmail.com with questions or to arrange an alternate pickup location. A few times a year, Ballyhoo offers fresh, pasture-raised, grass fed, non-certified organic lamb. These animals have been raised by their mothers and are weaned and sexually mature. 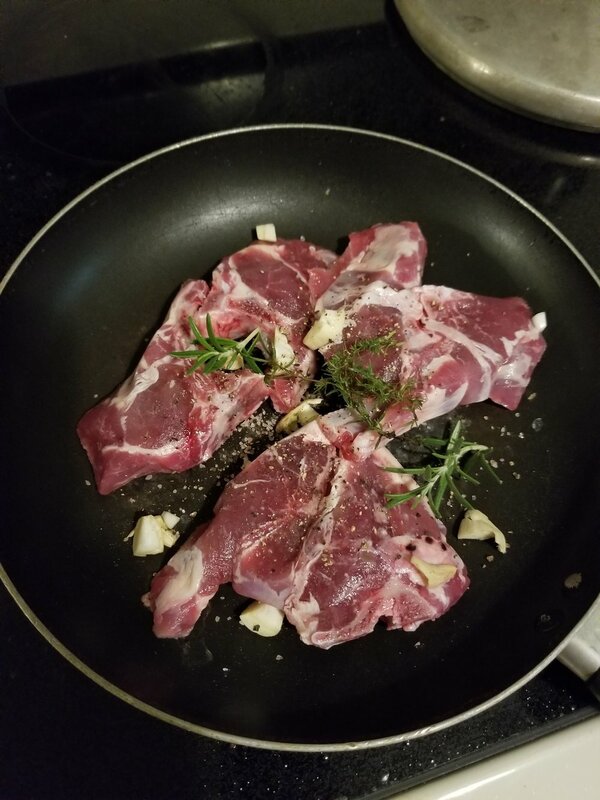 Grass fed lamb is high in Omega-3, zinc, selenium, B vitamins, and CLA, low in fat, and is recommended by the American Diabetes Association for the absence of carbs. Our sheep experience low-stress handling from birth to death. They are taken directly from the farm to Trackside Butcher Shoppe, a USDA-inspected facility a few miles away, and are humanely processed. Our lamb has a delicate flavor and is quite lean. The legal space allowance for a free-range chicken is 2sq ft. Our chickens have 10 acres! They are out from daylight to dusk, and we have eggs 50 weeks a year! Our hens lay both white and brown eggs, and aside from a few rescue chickens we have all heritage breeds. From May through October (sometimes November), Ballyhoo Farm offers fresh heirloom variety fruits, vegetables, and herbs. We NEVER use chemicals - we use companion planting and geese for weed and pest control, and fertilize using manure and compost. All produce is harvested by hand. A comprehensive list of varieties and estimated harvest times is available. We will list available items weekly as harvested.